HSBC (NYSE:HSBC), one of the leading corporations in the whole world, is well known for providing its services to a wide variety of customers. Its clients range from individuals to governmental organizations and from multi-national companies to NGOs. HSBC operates in around 75 different countries, and its services include retail banking, investment banking, custody banking, credit cards, wealth management and corporate banking. The bank has its headquarters in London; however, a bulk of its revenues comes from its operations in the region of Asia. It is important to mention here that the bank derives most of its profits from Hong Kong (in the Asian region). It has been quite a while since HSBC (NYSE:HSBC) started focusing on the emerging markets for its revenues. The bank primarily aims at improving its services related to commercial and retail banking in the newly found markets, specifically the markets of Middle East, Latin America and India. 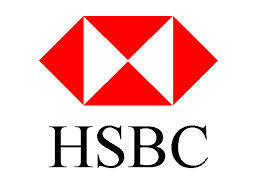 The current consensus price target on the stocks of HSBC (NYSE:HSBC) is recorded to be at $58. It is worth mentioning here that this price target is around 20 percent higher than the current price at which the company’s stocks are being traded in the market. HSBC’s (NYSE:HSBC) commercial banking sector caters to the needs to a number of companies around the world. This segment is further divided into 4 more segments, which include global trade, credit and lending, insurance and investments, and, payments and cash management. This segment is worth one-third of the total value of HSBC (NYSE:HSBC). Coming to its second segment, which is the retail banking and wealth management, the company generates around 30 percent of its revenues from this segment. The operations in these segments are divided according to different geographies including Hong Kong, Europe, MENA, Asia-Pacific, Latin America and North America. The regions of MENA and Asia-Pacific usually cater to the financial needs of small clients, including low profile companies. Some of its primary markets include China, Hong Kong, Singapore, Egypt, Saudi Arabia, Australia, U.A.E., and Qatar. Market experts are of the view that this region will be contributing a lot in the total revenues of the bank, for it includes wealthy oil nations as well. As for Europe and America, the regions are responsible for generating 10 percent and 4 percent of total revenues respectively. The investment banking sector is further divided into two segments: Capital Financing and Markets. Capital financing deals with debt organization, advisory services, equity underwriting and corporate lending. As for Market, the segment deals with commodities, currencies, and fixed income. Coming to the current stock prices of HSBC (NYSE:HSBC), the bank, during the last trading session of December 24, 2014, started its stocks at a price of $47.68 and closed at a price of $47.11, after hitting the highest price of $47.84. HSBC (NYSE:HSBC) has total market capitalization of $182.71 billion with a P/E (price to earnings) ratio of 10.97. As far as the dividend yield of the bank is concerned, the figures currently stand at 4.19 percent.